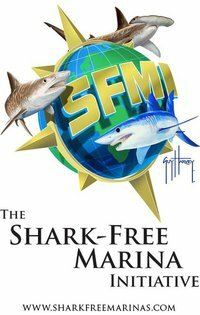 A ban on commercial shark fishing would help protect the $78 million that shark dive-related tourism is estimated to bring to the Bahamas annually, the industry's potential growth and the predator's role in the sustainability of other commercial fisheries in this nation, a leading expert said yesterday. Working with the Cousteau Society, Pierre-Yves Cousteau, son of legendary French explorer and marine scientist, Jacques Cousteau, is in Nassau this week to support the Bahamas National Trust (BNT) and the Pew Environmental Group's (PEG) campaign to get the Government to enact legislation banning commercial fishing of sharks in the Bahamas. As shark populations globally have come under threat from over-fishing, primarily driven by the demand in Asia for shark fins for soup, a long-line fishing ban in the 1990s and lack of local demand helped the Bahamas remain one of the few countries with an abundant population of sharks. However, the advice to the Bahamian government and people from Mr Cousteau, the BNT and the Pew Environmental Group is that the Bahamas should take a proactive stance towards specifically protecting this resource through legislation banning the commercial fishing of sharks, which have both environmental and economic importance to this nation and the wider marine environment. 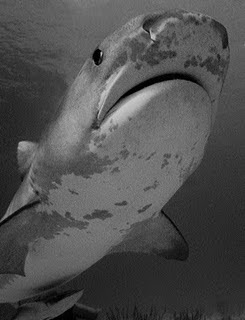 With any depletion of sharks in the Bahamas, said Mr Cousteau, the multi-million dollar shark diving industry in this country - estimated by the Bahamas Dive Association to have brought in $800 million to the Bahamian economy over the last 20 years - could be threatened, as could the health of other commercial fish populations whose abundance to some extent is "regulated" by the existence of the "apex predator" in Bahamian waters. At risk, too, would be the exposure that the Bahamas gains from footage of its sharks and marine environment being featured in television programs and films worldwide, which can stimulate not only dive tourism but tourism generally. Meanwhile, Mr Cousteau - who went for his first dive as a child in Eleuthera, where he also saw his first shark - noted that shark tourism could be a growth industry for the country if protected. 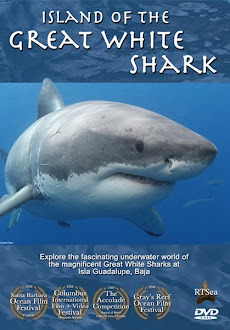 Both a commercial shark diving company Shark Diver and a film television and shark tourism development company Shark Divers. Gillette Razors & Sharks - Behind the Scenes from Johnny Friday on Vimeo. Late 2008 Shark Diver CEO spent some time with the radio hosts of Lakefront Radio. Enjoy this Podcast about sharks, conservation and just plain fun. Of Shark and Man - Final Update... Mission Accomplished! What happened to the legendary great white shark, Cal Ripfin? Asia Bashing For The Cause? Squalene in Vaccine Protest - On Target?